"We've all got our reasons to crazy, reckless things in life…" Open Road Films has debuted another new trailer for the action thriller Collide, starring superstar actors Nicholas Hoult and Felicity Jones. This film was supposed to be released last August (see the first trailer here), but after generating pretty much no buzz they delayed it until this February. I'm still not interested, and this still looks as generic and bland as it did before, even with a great cast. Besides Hoult and Jones, this also stars Anthony Hopkins (as a mob boss) and Ben Kingsley (looking wacko), plus Nadia Hilker and Clemens Schick. The story is about an American backpacker caught up in a drug smuggling ring while trying to pull off a heist, taking him "on the run from his employers across Munich's high-speed Autobahn." Of course it's all about the action. Enjoy. After a heist goes terribly wrong, Casey Stein (Hoult) finds himself on the run from a ruthless gang headed by mob boss Hagen (Hopkins). Now Casey has precious cargo that belongs to Hagen, who will stop at nothing to retrieve it. Left with no choice, Casey calls his former employer and drug smuggler Geran (Kingsley) to protect his long-time girlfriend Juliette before Hagen gets his hands on her. 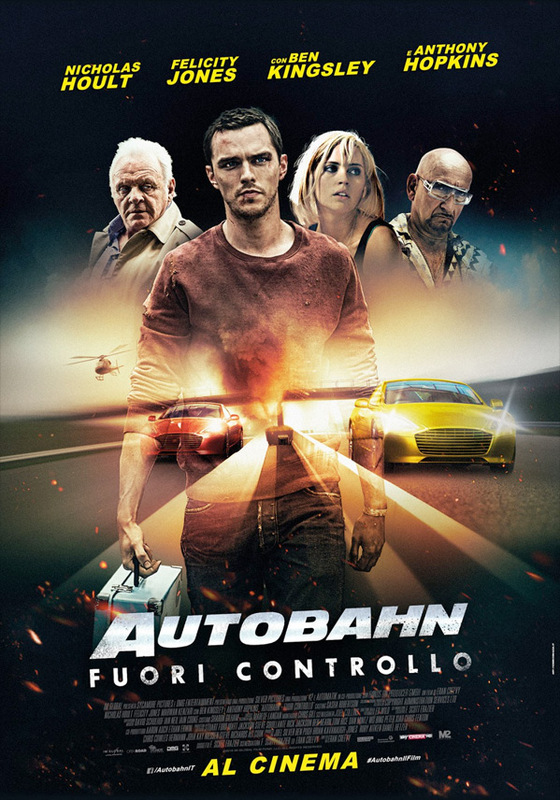 Casey sets out on an adrenaline-fueled car chase on the German highways to save the love of his life before it’s too late. Collide is both written and directed by English filmmaker Eran Creevy, of the films Welcome to the Punch and Shifty previously. The screenplay is also credited to F. Scott Frazier in addition to Creevy. Open Road Films will release Collide in select theaters starting February 24th this winter after a big delay. Anyone? Great. Now more bogans can go ruin The Autobahn. God this looks bad.... but that cast! How can I say no? I watched it 2 weeks ago. On my Linux box with kodi. Exodus has it listed as a 2016 movie as well as others prime wire Phoenix and so on.